Easter is in just a week. 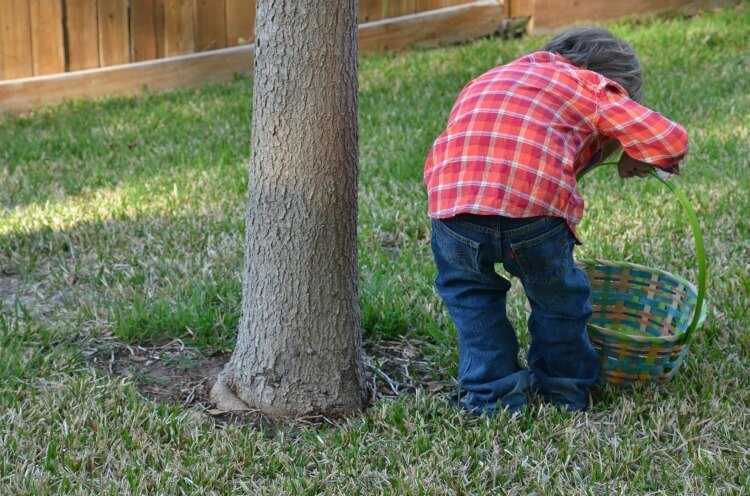 I love to give my kids an egg hunt. They have to work for those baskets of treats! 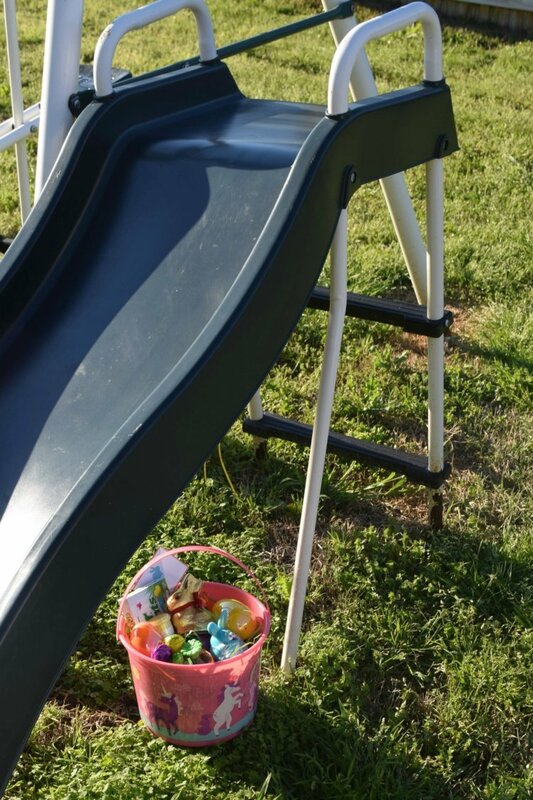 Every year I give all of my kids an egg hunt. My oldest is now 19 years old, and she still comes home from college for Easter for the egg hunt. 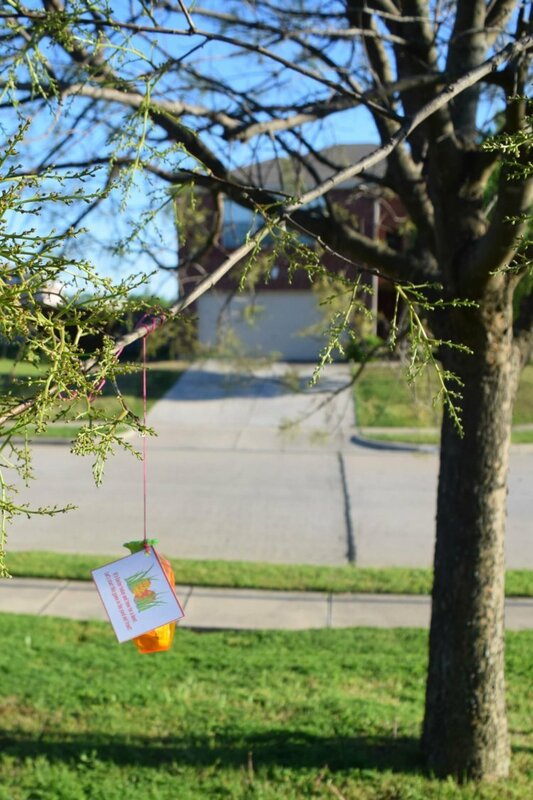 Today, I’m sharing some of my Easter Egg Hunt Clues. 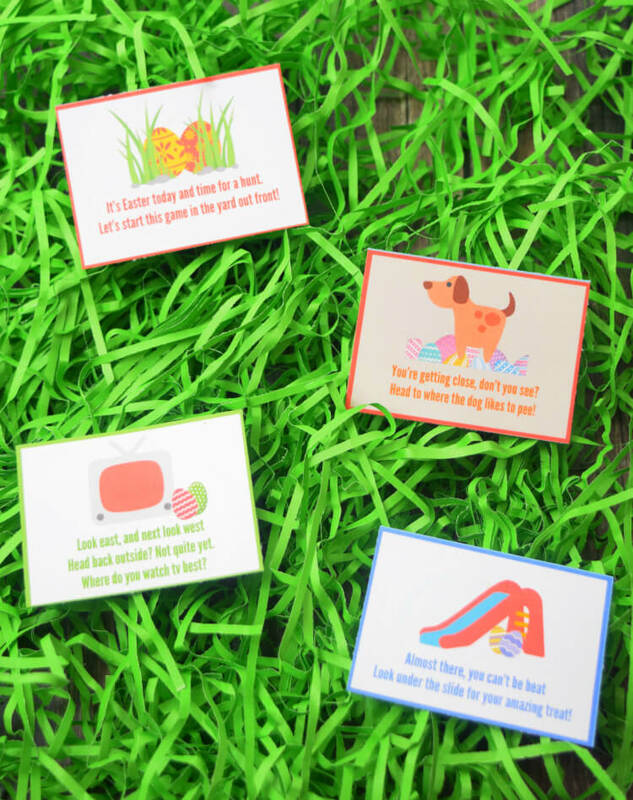 You can print them off and easily make your own fun egg hunt. When I was a kid, my mom would bring out the Easter baskets of goodies or sometimes they’d be sitting on the kitchen table while she was making breakfast. I remember getting those fake little bottles of nail polish you could find in the toy aisle at the grocery store. I loved those things. First things first, you need to print and cut out the printable clues. 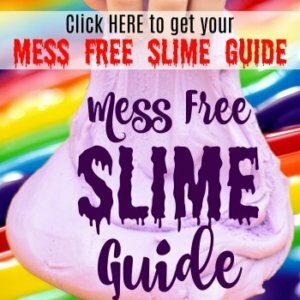 The PDF comes with three pages – two pages of prewritten clues and a whole page for you to write your own. 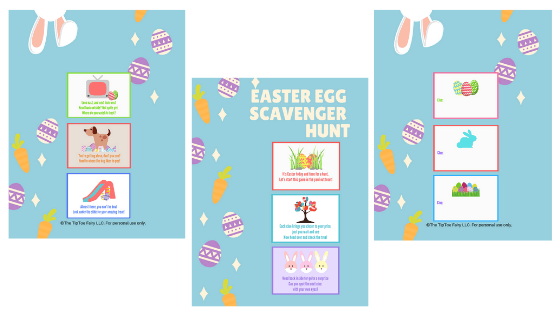 As you’re printing and cutting out the cards, keep the cards in order they are printed, so the scavenger hunt will go together easily for you. You can even take it a step further and write on the back of the cards where the clue should be placed — this would be not where they lead, but the exact place that clue will be placed. 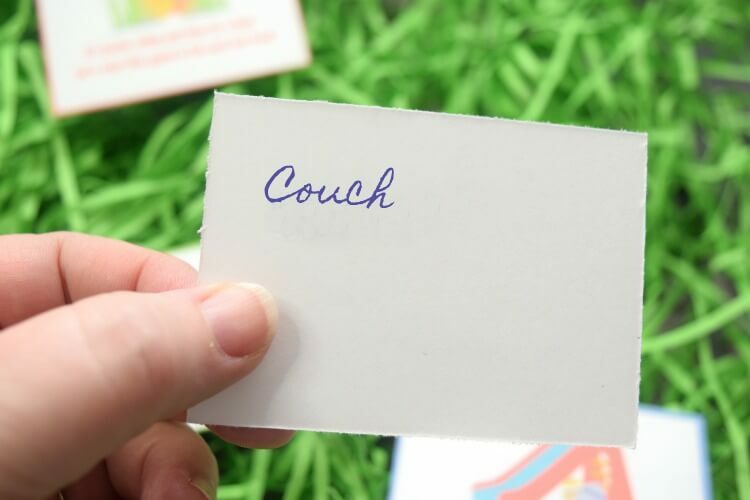 For example, this clue will be put on the couch. 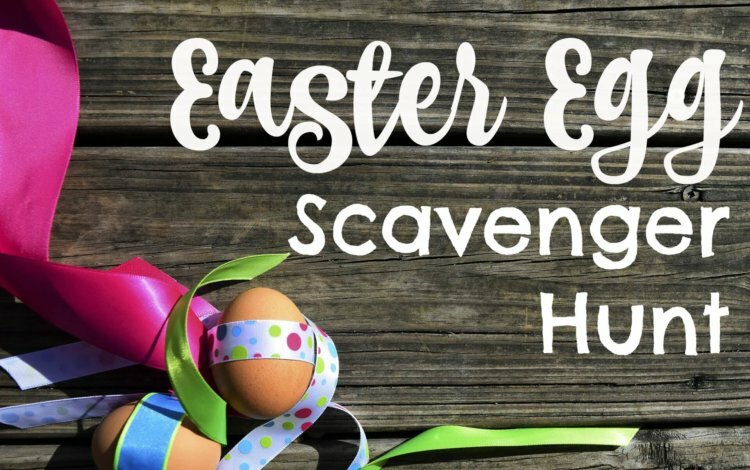 If you want to change it up, you can mix and match these clues with your own prewritten clues to create your own Easter Egg Scavenger Hunt. To start the hunt, I either line the kids all up and give them the first clue, or I put it on the kitchen table during breakfast. This is easy and casual, so you can do it however you’d like. 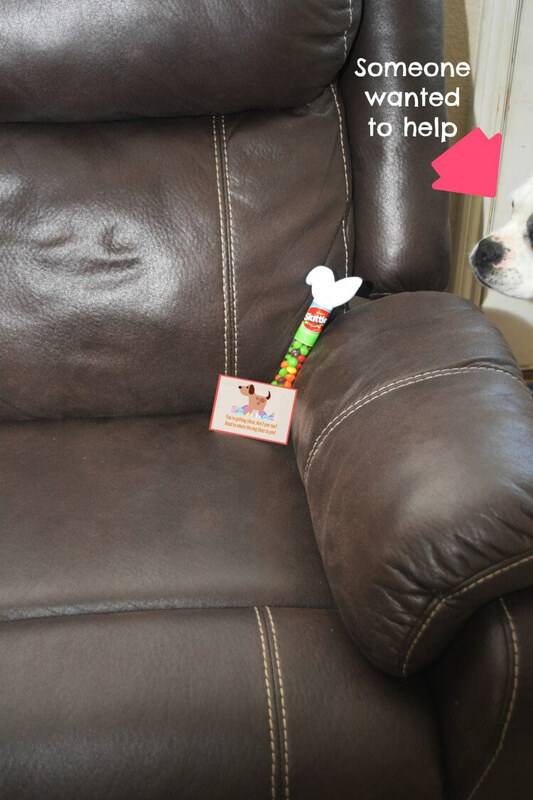 At each hiding spot, I add a treat, an egg, or some goodies for them to collect. Then, the big haul is in the final spot. The rest of the clues, I just hide along in each hiding spot.